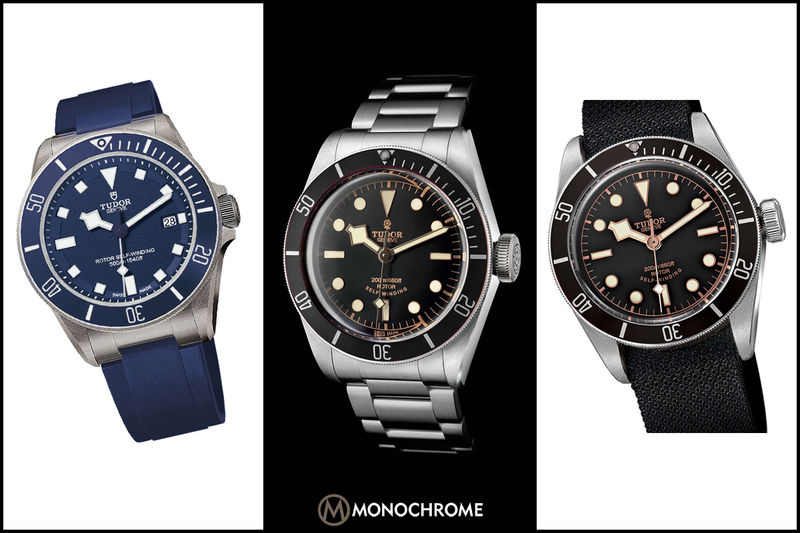 Dive watches are cool… and here are some of the coolest models presented in 2019. 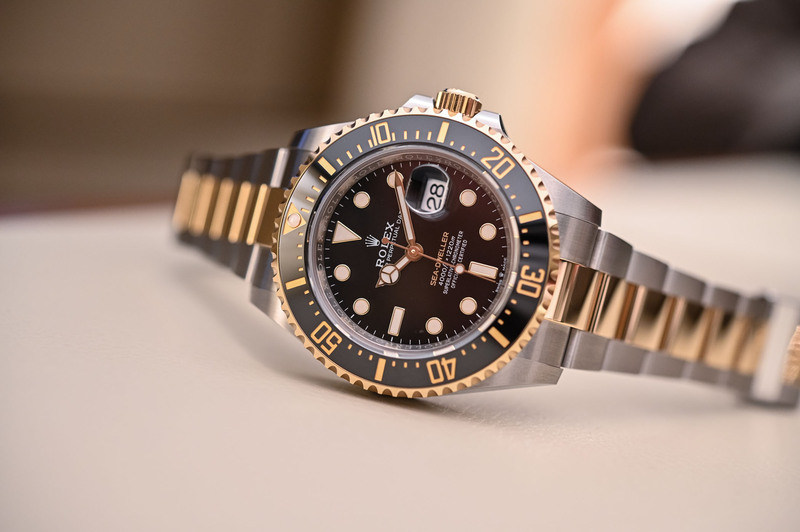 Dive watches are one of the most popular categories in the watch world and, without surprises, Baselworld wrapped up with plenty of new models to sate aficionados… If these comply with strict standards, you do not need to be a diver to love these utilitarian tools. They make great daily wearers on dry land too. 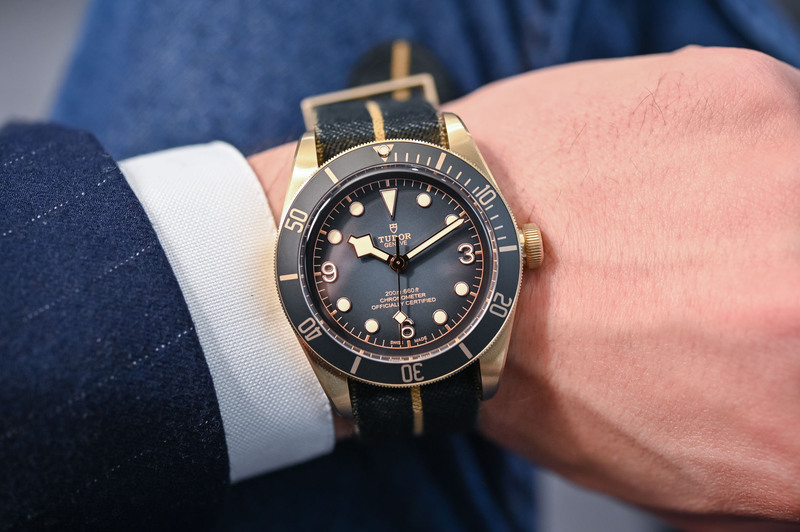 Here are the 10 best dive watches that caught our eye at Baselworld 2019. Note: this selection, ordered from low to high prices, is based on a consensus among the MONOCHROME team. 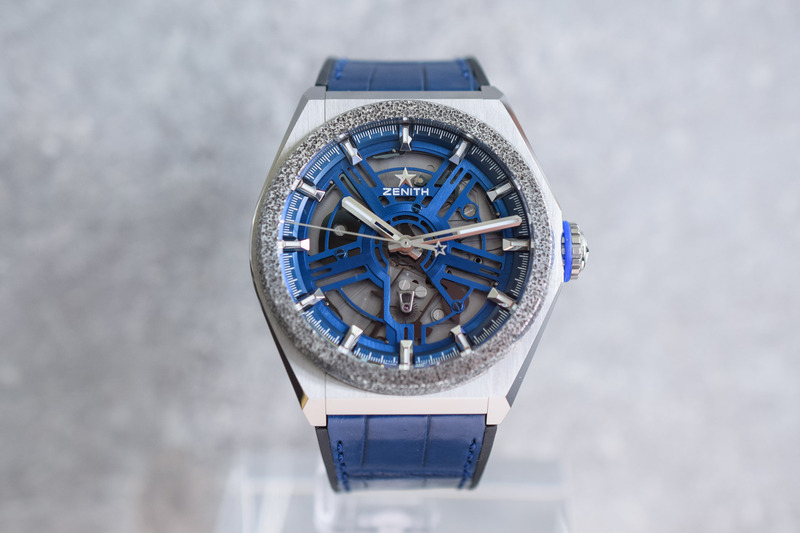 It reflects our preferences among the watches unveiled at Baselworld 2019. If you want to add some watches to this selection, feel free to share them in the comment section at the end of this article. 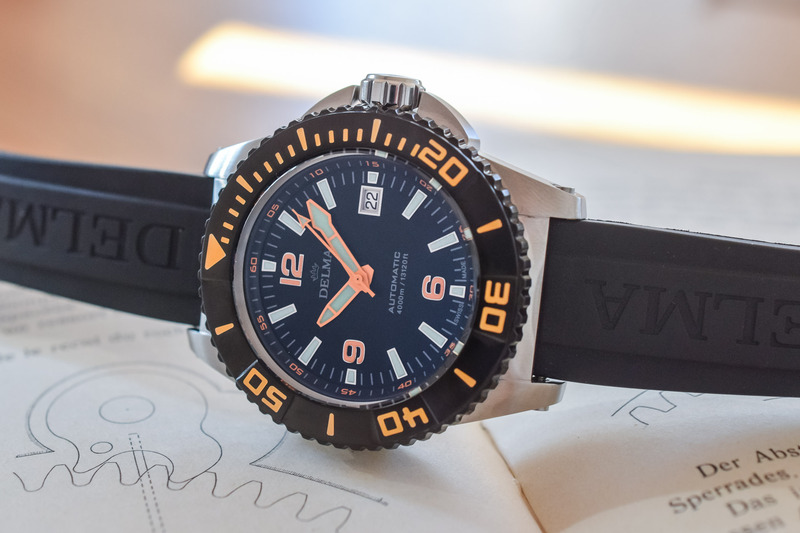 At Baselworld 2019, Delma released a new version of its deep diver, the Blue Shark. The model incorporates several updates, including water-resistance beefed up from 3,000m to 4,000m. 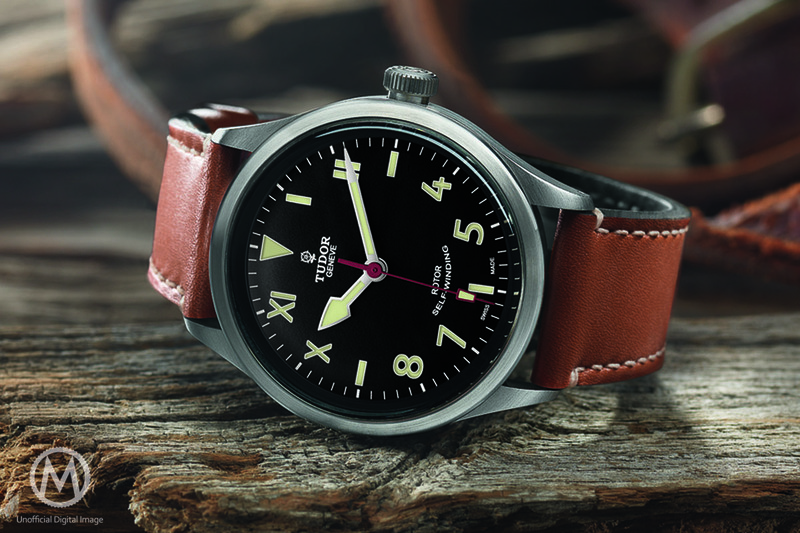 The 47mm steel case features a 120-click unidirectional bezel, a screw-down crown, and a helium relief valve. Inside is the tried-and-tested automatic ETA-2824. The Delma Blue Shark III 4000m was launched with different dial options, as a limited edition of 500 pieces with a steel bezel, and 500 pieces with a DLC-coated steel bezel. Price for this rugged diving instrument starts at CHF 1,990. 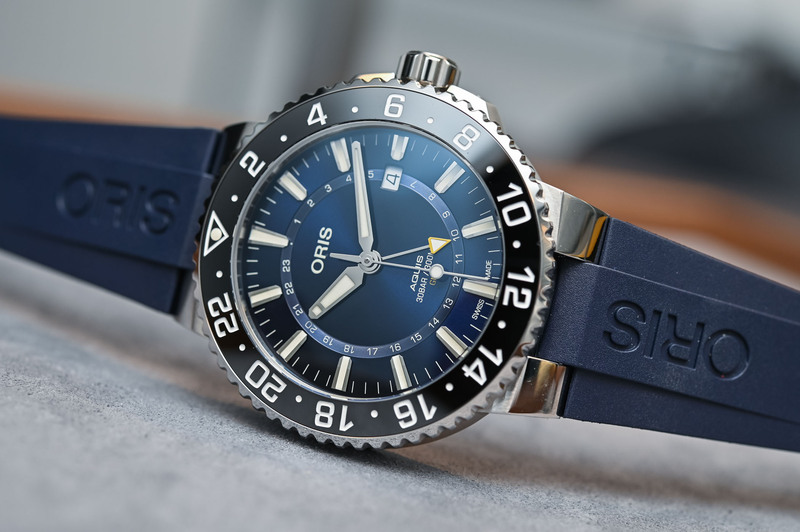 One of the brand’s flagship models, the Oris Aquis is now equipped with a dual-time function. The 43.5mm steel case is water-resistant to 300m. Its rotating bezel features a ceramic insert, which replaces the 60-minute scale with a 24-hour track. The automatic calibre Oris 798 (based on a Sellita SW330-1) displays the hours, minutes, seconds, the date and a second time zone on 24 hours. It is available with a large choice of straps or with a steel bracelet, all fitted with an extension system for wearing over a wetsuit. A winning combination of a bronze case with a gradient grey dial, this new iteration of the iconic Black Bay is 43mm in diameter and water-resistant to 300m. Inside is Tudor’s manufacture movement MT5601 with a power reserve of 70 hours, an anti-magnetic silicon balance spring and official COSC chronometer certification. It comes with both an aged nubuck leather strap and a grey fabric strap. Possibly the best-looking edition so far of this beautiful bronzo, with more contrast than the inaugural brown dial version. The Bell & Ross BR 03-92 dive watch collection expands with a handsome ceramic version (as well as a cool green-dial Bronze version). The new Diver Black Matte stands out with its distinctive square case, which is now wrapped in full stealth attire, yet resilient and light on the wrist. It is water-resistant to 300m and meets with the ISO 6425 standards. Its automatic calibre BR-CAL 302 (Sellita base) displays the hours, minutes, seconds and date. The woven black rubber strap is secured with a PVD-coated steel pin buckle. Inspired by the pressure gauge of the first tool divers, the Reservoir Hydrosphère is an unusual take on the dive watch with a unique time display featuring jumping hours and retrograde minutes. At first, it’s a bit puzzling but it makes for an unusual, cool-looking piece among the more classical dive watches. The central seconds rotating indicator has no other utility than to check that the watch is running. The original power reserve on the lower part of the watch befits the model’s inspiration. The 45mm steel case is water-resistant to 300m. 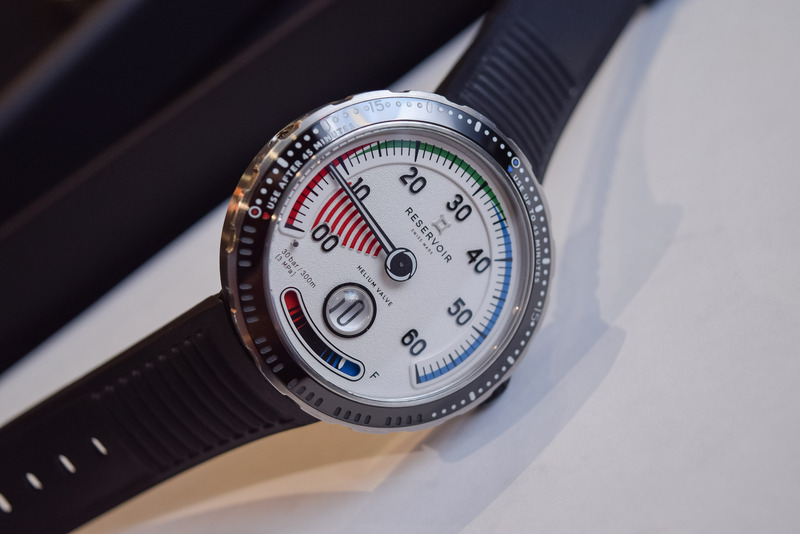 It also comes with a unidirectional bezel to keep track of dive times and a helium relief valve. 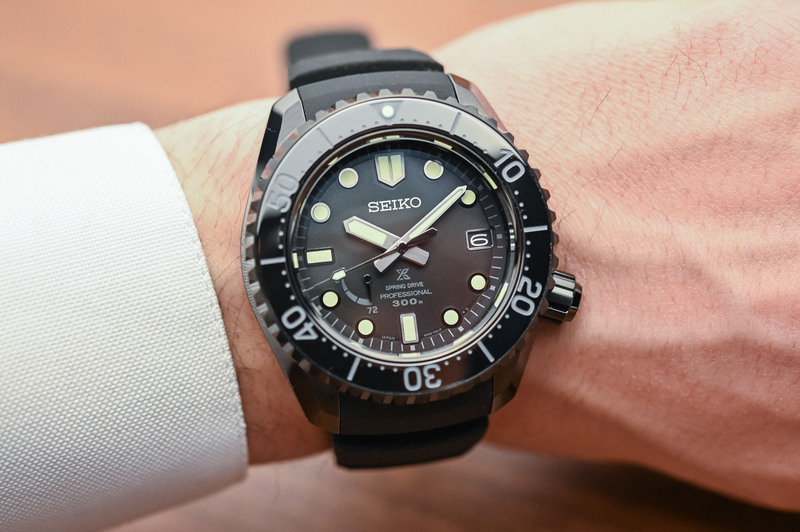 The 1970s Diver’s Recreation Limited Edition SLA033 that we included in our best watches of Baselworld 2019 was not the only noteworthy dive watch presented by Seiko during the fair – there was, in fact, a good selection of dive watches. 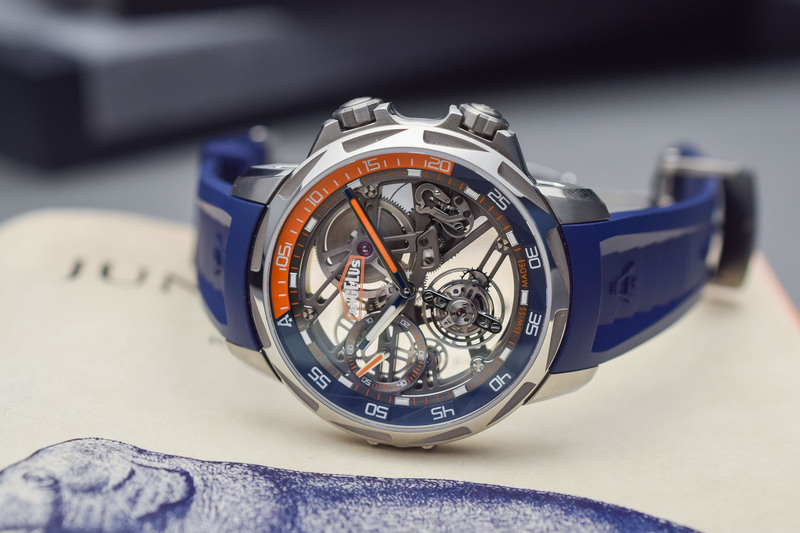 The new Prospex LX Line, all equipped with Spring Drive movements, is articulated around three models for sport on land, in the sea and in the sky. 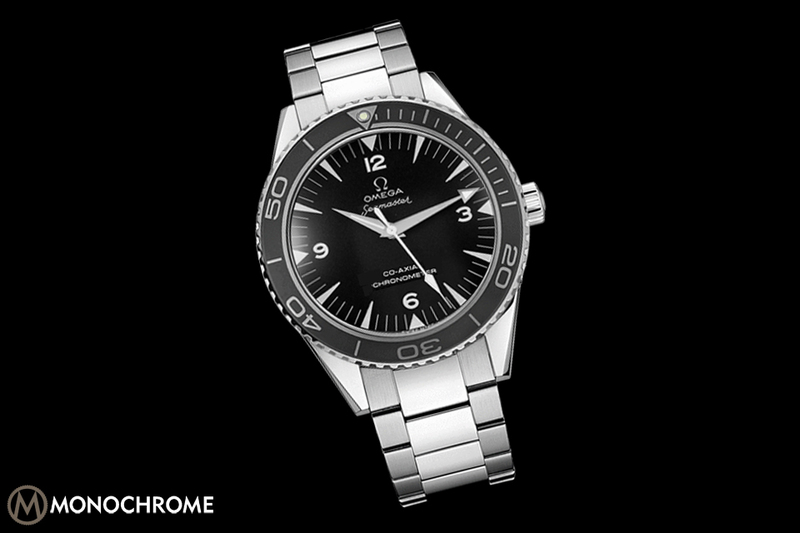 The Sea/Diver version of this 44.8mm watch features a unidirectional dive bezel and its water-resistance is of 300m. The case has the typical Seiko Prospex design, yet modernized and with great attention to details. Our favourite is the black version (SNR031J1) in titanium with a stealthy super-hard coating and a silicone strap. 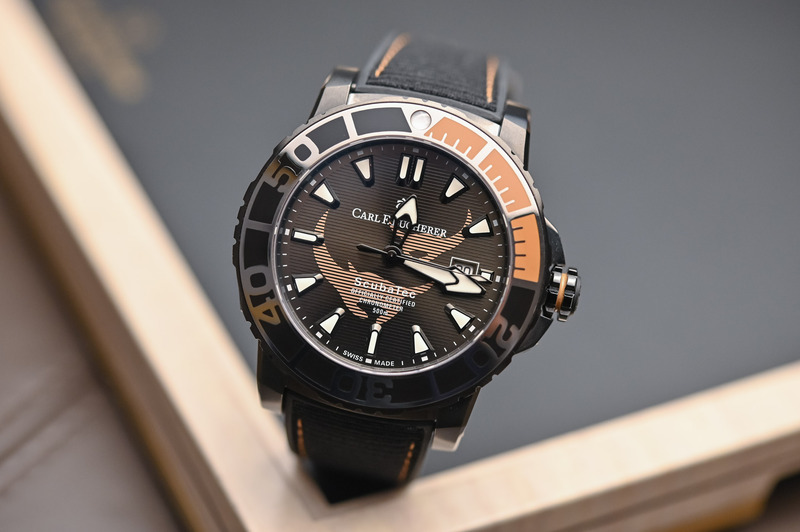 The Patravi Scubatec Black Manta is Carl F. Bucherer’s second special edition to support the Manta Trust, a UK-based charity with the mission of conserving the oceans and the habitat of manta rays. It uses the same 44.6mm and COSC-certified automatic movement as the 2017 edition. The dark, ultra-light DLC-coated titanium case is water-resistant to 500m. It features a screw-down crown and a helium-relief valve. The grooved dial depicts the silhouette of manta rays in a bronze colour. In keeping with the conservation theme, the black textile strap is composed mostly of recycled PET. 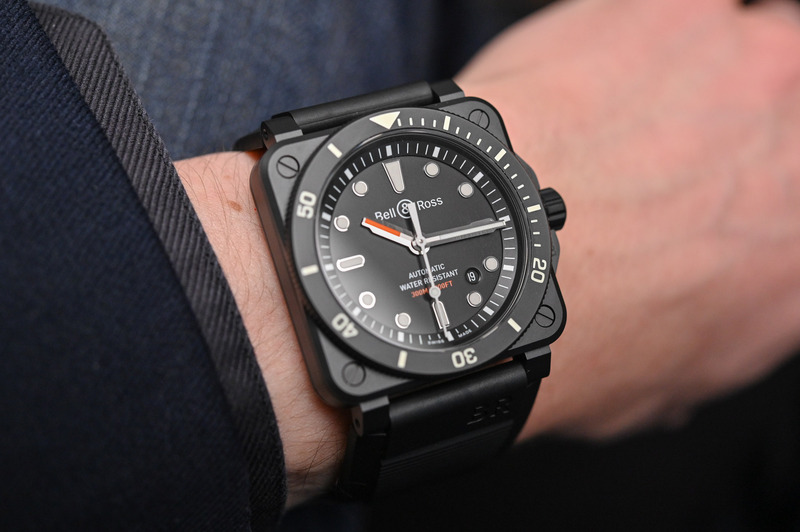 And besides the good cause, it is also a great looking dive watch. With its openwork tourbillon movement, the Angelus U51 Diver Tourbillon 5-day power reserve is most definitely not the archetypal rugged, functional dive watch. And although many of us wouldn’t dare plunge it 300 metres underwater, it can easily withstand such pressure… What remains is an unusual mix of a sports watch and Haute Horlogerie. The 45mm titanium case features two crowns, one for the movement and one to rotate the high-contrast inner flange. On the opposite side, the U51 Diver Tourbillon features a helium relief valve. Ready to dive with a tourbillon?… Sign us up! Doxa has reinterpreted a beloved, iconic dive watch, the Sub 200 T.Graph in… 18k gold. 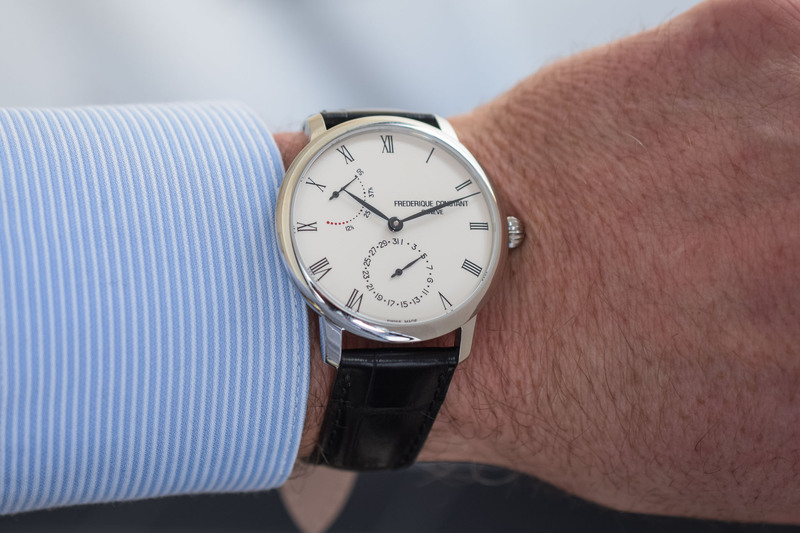 As a matter of fact, the brand is still celebrating its 130th anniversary and the 50th anniversary of this iconic model. This exclusive 13-piece anniversary gold version is equipped with the original Valjoux 7734 chronograph movement. 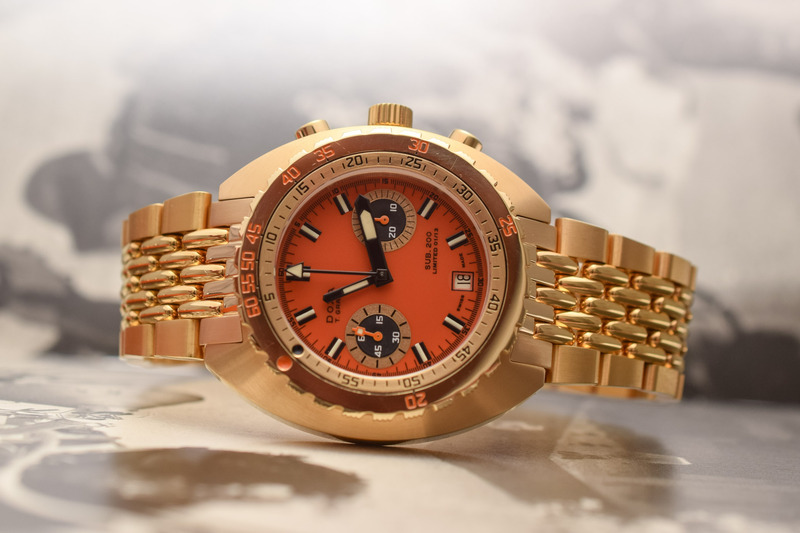 The signature Doxa bright orange dial is paired with a matching rubber strap, but this surprising watch can also be delivered on a full gold “bead of rice” bracelet. 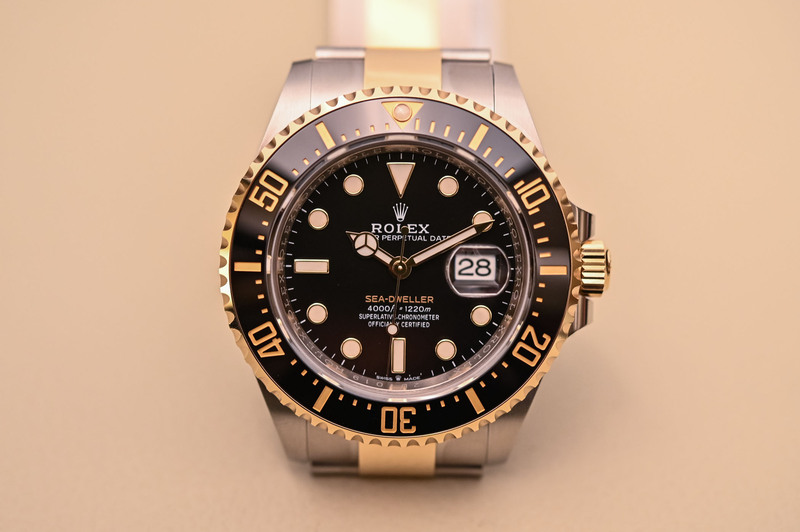 And if you love those late 1960s Doxa quirky designs but feel that gold is not the appropriate metal for a dive watch, the brand also released a cool steel re-edition of the Sub 200. In my opinion the JLC Master Compressor Navy Seals edition is also a great diver watch. And also a Berry cool watch to wear. In my opinion, a fancy/ gold/ “designer” ive watch is the horological equivalent of a toy poodle. A standard poodle is a great dog. A toy poodle is ….not. I have bought Longines Hydroconquest a month ago ( after waiting 5 weeks) and would put her on this list. I actually like the design of the Aquaracer. If it were made better, I think it would get more respect. Still, one afternoon I went straight from a Tag boutique to a Longine boutique to doors away and I think the Aquaracer was the nicer watch. Whether anyone wants to buy a Tag is another matter.